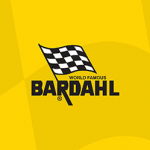 Bardahl is a technology-driven manufacturer, from 1939 when we developed polar attraction formulas that improved motor oil properties to creating innovative chemicals that enhance the performance of today’s vehicles. We are a family-owned and value-driven company with high quality products that are sold worldwide and are proudly made in the USA. The Bardahl commitment to innovative technology through research was founded from the very beginning with its first oil additive that used a unique formulation to reduce friction. The technology was further developed with a Polar Attraction Formula that improved the anti-wear, anti-friction, and extreme pressure properties of motor oils. Bardahl continues to develop innovative products and recently designed “ultra concentrated” formulations that include smaller volumes of chemical solutions, yet perform at higher levels of effectiveness for less cost.